With the deprecation of Azure Access Control Service (ACS), you should modify the SDK authentication code by removing all references to ACS. Effective from Microsoft Dynamics CRM Online 2016 Update 1 (v8.1.1) and Microsoft Dynamics 365 (v8.2), we removed Live ID support and ACS dependencies on the server-side. It is required to update the references in all client side components by updating the SDK. 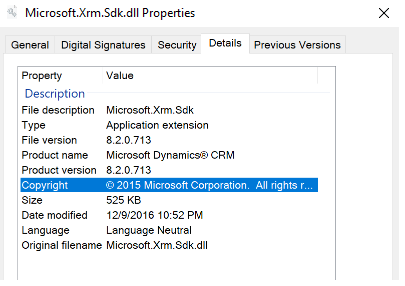 Any client side component SDK (Microsft.Xrm.SDK.DLL) version 8.0 or lower should be updated to the latest version. Scan the folders on your server where the solution is running and look for: Microsoft.XRM.SDK.dll. If found, use the table given in the Team Blog site to determine which version of the SDK you need to download. Using the table, determine which version of .NET that you have deployed against, and confirm the version of Dynamics 365 CRM service you are using. If you are uncertain which .NET version your solution is using, contact your development or engineering teams. 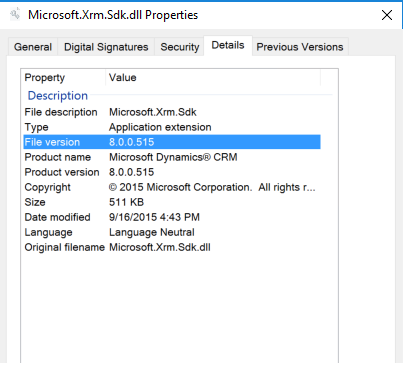 Once you have determined the correct SDK version to use simply replace the Microsoft.XRM.SDK.dll found in /bin folder with the latest version of the SDK dll. Unified Service Desk (USD) – If you are using USD client that is less than the latest version of USD 2.2 or USD 2.1, please upgrade to USD 2.2 or higher.